With the Major League Soccer season in full swing, it’s time to debut Last Word on Soccer’s new MLS Power Rankings. While most rankings are subjective, these rankings use a formulaic ranking system based on a series of data points ranging from points per game to strength of schedule/victories to the quality of recent form among other points. Atlanta’s goal-scoring prowess is second to none in 2018. Over their past four games, the Five Stripes have outscored their opponents 11-3. Their strength of schedule hasn’t been the toughest, but that is expected for a team that routinely hands out losses to their opponents. Having earned 13 of their last 15 points, expect Atlanta to remain near the top of this list all season. NYCFC rebounded easily after their loss to Portland. That hiccup aside, the Boys in Blue have been remarkable this season. Despite their winning ways, they have still played the sixth most difficult schedule in MLS in 2018. Their strength of victory ranks sixth as well, which only shows that Patrick Vieira’s side is a legitimate contender this season. This weekend’s Hudson River Derby will be another test of that legitimacy. Orlando City is MLS’s hottest team and winners of five consecutive matches. While they may not be beating any juggernauts, consistency and dependability can carry a team into the playoffs. In a league where unpredictability is the only predictable outcome, the Purple Lions stand tall. It is unlikely that they maintain their run given the volume of closely contested games, but they currently rank among the elite teams in MLS in nearly every category. The “Revs” debut at four, and it is certainly surprising for many. For a team that missed the playoffs last year, and just jettisoned one of their franchise’ cornerstones, New England has played extremely well this season. Draws with Columbus and NYCFC are impressive, but the rest of their schedule has been average at best. Sure and steady. The defense has been leaky at times, but when they stay structured at the back, they are able to use their league-leading 57% possession to grind down opponents. In addition, they average a league-leading 17.9 shots per game. Keeping possession + taking shots = success in MLS. SKC will be tested in the upcoming weeks, which will decide whether or not their success is real or a byproduct of fourth easiest schedule to this point. It will be interesting to see how Felipe Gutierrez’s injury impacts the team, but they have the pieces to fill in continue their success. The New York Red Bulls won a controversial match last week against the LA Galaxy. They have alternated between winning and losing all season. With a win in hand, the precedent dictates they will lose this week. Their America-style gegenpress has been the key to their success. Red Bulls are second in the league in tackles per game and interceptions per game, fifth in shots per game, and fourth in goals per game. If they can string a few results together, the league will be on notice. Currently the most prolific scoring team in MLS, LAFC have only strengthened their presence in front of goal. This week, they acquired midfielder Lee Nguyen from the New England Revolution and forward Adama Diomande from Hull City. Bob Bradley looks content in leading the league in exciting games. With the third lowest strength of schedule to this point in the season, it will be interesting to see how they fare as they encounter more quality sides. This much is clear: they will undoubtedly entertain the fans. Dallas is ranked highly due to the minimal goals they’ve conceded this season. However, following a rough game against NYCFC, they must now attempt to stop the attacking juggernaut that is LAFC. This weekend will be a big test for Oscar Pareja and company. A slow start to the season gave Timbers fans some buyer’s remorse over new coach Giovanni Savarese. After Caleb Porter’s departure, the club needed to get this hire right. Now, after consecutive wins over Minnesota United and NYCFC, the Timbers are moving up the table. The rankings are kind to Houston thanks to their opening day destruction of Atlanta United. The further they move away from that victory, the more they will need some strong results to keep them in the top-10. They deserved more against Minnesota after rifling off 19 shots, but their finishing eluded them. With the second worst strength of victory in the league, Colorado is beating up on the bottom feeders, but they have been unable to beat the top-tier teams. Draws against SKC and FC Dallas build up the resume, but they need goals from more than Dominique Badji, who in his own right has been fantastic this season. Chicago is performing better than many expected. Moving Bastian Schweinsteiger to a sweeper role in a 5-3-2 has given him some freedom in an otherwise organized team structure. There isn’t much firepower beyond him and Nemanja Nikolic, though, who has five goals this season. MLS Charter number one sits ninth in the points per game rank, but they have played the statistically easiest schedule. Catching Toronto FC in during the Champions League helped. A rejuvenated Gyasi Zardes has taken over at the tip of the spear, and Gregg Berhalter seems to be getting more out of the sum of his team’s parts yet again. Also, #savethecrew. Following their loss to NYRB, it appears to be another season and another disappointing start for the Galaxy. A disjointed attack threatens to leave the Galaxy with a serious decision to make over Sigi Schmid’s future as the rumblings for a sacking are growing louder. Their saving grace? They have, by a significant margin, played the leagues most difficult schedule to this point. Vancouver is struggling to gain any momentum this season. It is apparent they miss the creative ability of Christian Bolaños, but if they can harness the speed on the wings and find a way to counter-press effectively, they have the tools in place to compete for a playoff spot. With a match against in-form Orlando City approaching, RSL should feel good about their ability to take down the Lions. RSL has yet to lose consecutive matches this season, and if they can beat Orlando they can use that momentum to boost them as their schedule eases up after Orlando. The Union won’t bring a championship home to join their NFL counterparts. It isn’t for a lack of trying. Despite the Union averaging the third most shots per game, they have scored the second-fewest goals. There is just a lack of talent on this roster, and if CJ Sapong continues his slump, they will continue to struggle. Seattle hasn’t played as poorly as it seems. Yes, they are bottom of the Western Conference. Yes, they have scored the league’s fewest goals. Yes, they…okay, so things are going pretty poorly for the 2016 MLS Cup Champions. When Jordan Morris went down for the season with an ACL injury, so did Seattle’s immediate hopes of returning to their third consecutive MLS Cup Final. They lack the pace up front to scare defenses and have thus turned to a very defensive approach. They need to make a move or three if they plan on joining the Western Conference playoff race. Despite sitting in the middle of the Supporter’s Shield table, Minnesota lacks the recent success required to move them up the rankings. The attack lacks firepower, but that should change as Darwin Quintero integrates himself into the team. With two Designated Player spots remaining, Minnesota could bolster their roster after the World Cup. Whether or not they will be willing to reach into the coffer is the big unknown. If past is precedence, frugal ownership is likely to leave this team as is. San Jose has played one of the most difficult schedules of any team in MLS. 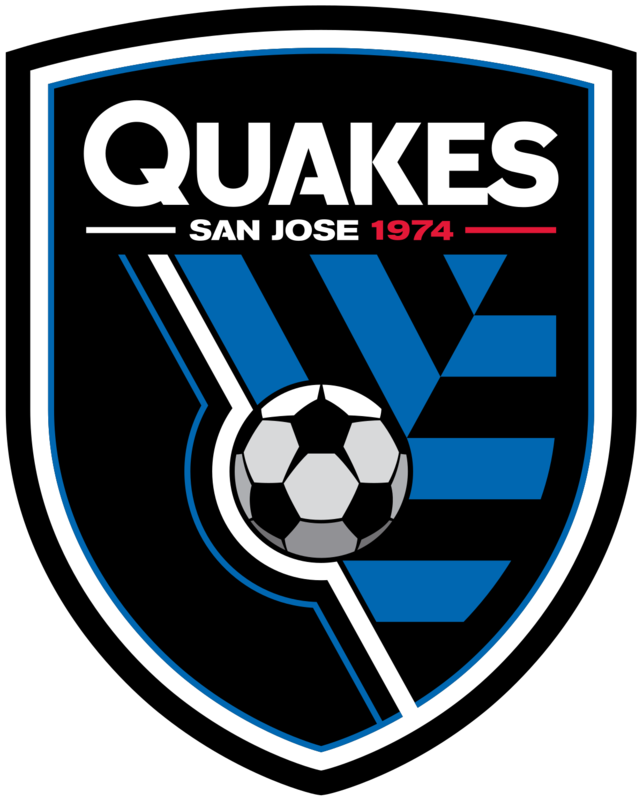 As it appears they are phasing out the old guard, Chris Wondolowski, it will take time for the youth to build chemistry and experience enough to compete in MLS. It looks like the rebuild has begun, but the pieces are there for a late-season surge. There isn’t much hope for D.C. United. Paul Arriola is struggling to fit into the side. Yamil Asad is wasting possession. The team routinely plays defensive soccer and doesn’t get many chances at goal. D.C. United is on to their second game of an eight-game road trip. It is still early, but the sun is setting on Ben Olsen whose 35 percent winning percentage is the worst in club history. Champions League + injuries + a short off-season= a slow start for Toronto FC. Michael Bradley looks like he could be a fantastic ball playing center back, which should be encouraging for his aging legs. With Jozy Altidore’s hamstring flaring up again, and Sebastian Giovinco’s unhappiness that Toronto will not open contract talks for his extension, Toronto has some work to do if they want out of the cellar. Not to mention, Toronto has played the second easiest schedule to this point in the season. If they plan on climbing the ladder, they will need to do so against the top teams in their conference. There is not much to say. Montreal has conceded 16 goals in their last four games. They’ve conceded just five in the four previous games. With a -11 goal differential and Nacho Piatti on an island in the attack, Montreal will struggle to do much this season. Perhaps they can help bring the Expos back to town? Southern California native. Poet. English Teacher. Dog lover. Cat liker. FIFA Player. Part-Time Tarot Card Enthusiast (Can't see the future). LA Galaxy. USMNT.